Glass Rods can be fabricated from many glass materials to a wide range of sizes, shapes, specifications, finishes and tolerances. A list of standard rods is available for faster delivery. These rods can then be cut to precision lengths with various end finishes from a ground finish, to a highly polished optical finish. SGP has a large inventory of standard rods. 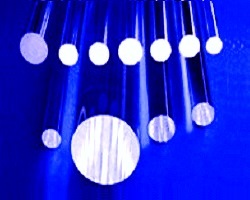 Glass rods can be redrawn in many shapes including Round, Square, Rectangle, and Oval shaped. 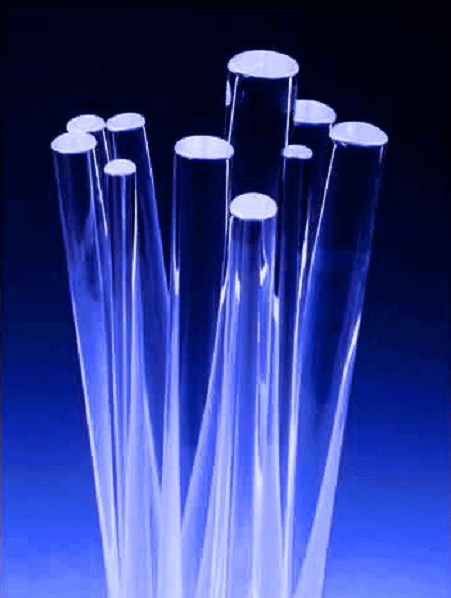 Round Glass Rods can be fabricated from many glass materials to a wide range of sizes, specifications, finishes and tolerances. 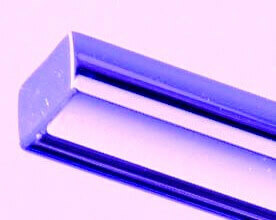 These rods can then be cut to precision lengths with various end finishing. 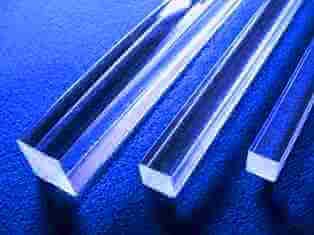 Rectangular Glass Rods can be fabricated from many glass materials to a wide range of sizes, specifications, finishes and tolerances. Square Glass Rods can be fabricated from many glass materials to a wide range of sizes, specifications, finishes and tolerances.